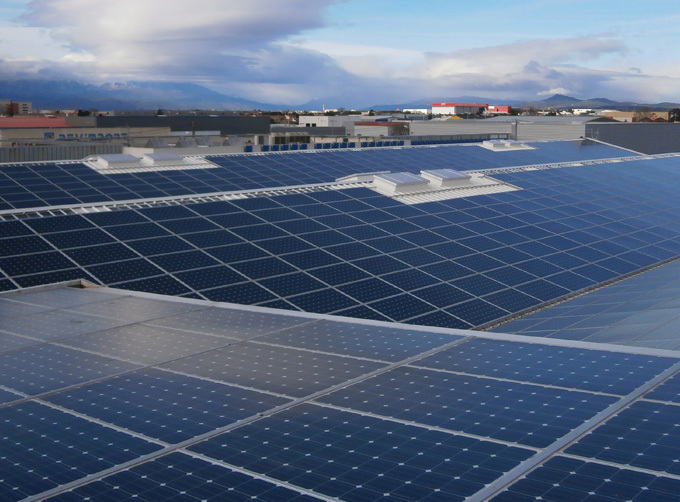 "Tenrev 1" is a large-scale grid-connected Photovoltaic Plant. It is integrated to the roof of a warehouse featuring several halls. The main roof planes run South-West / North-East. 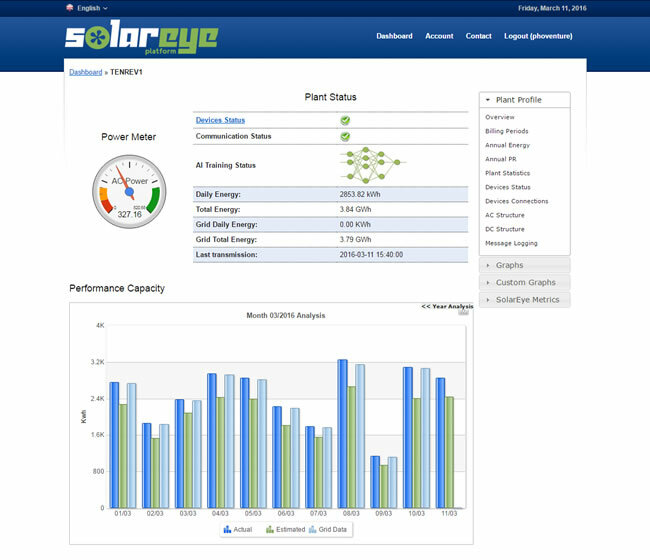 It is located in Perpignan, France, and has a production capacity of 820.68 kWp. 3269 CSUN 250 Wp panels. 14 CSUN 245 Wp panels. 40 SMA STP 17000TL_10 inverters. 5 SMA STP 15000TL_10 inverters. 1 SMA WebBox data logger.